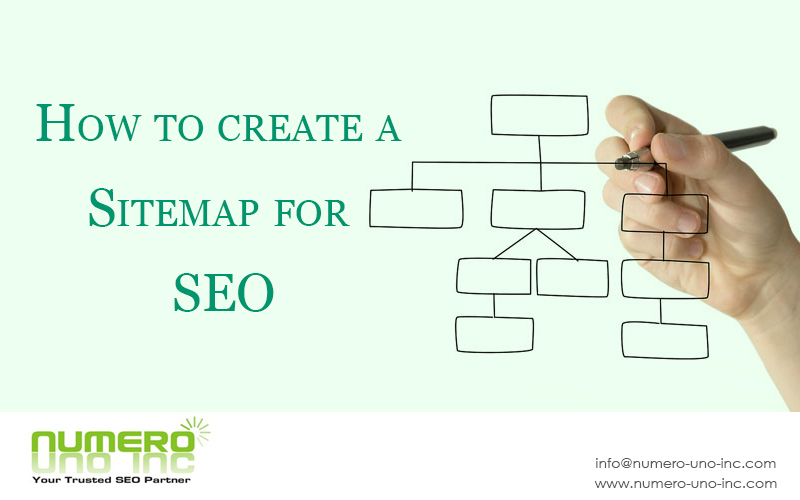 Understanding how to create a Sitemap for Website is quite an easy process. Sitemap is mainly the map which contains information of every located resource on a website. It helps users, along with search engines, to effortlessly explore a website for their necessary object. Alternatively it also benefits them in improving their search (for user) as well as indexing experience (for search engines). What are Different Types of Sitemaps? 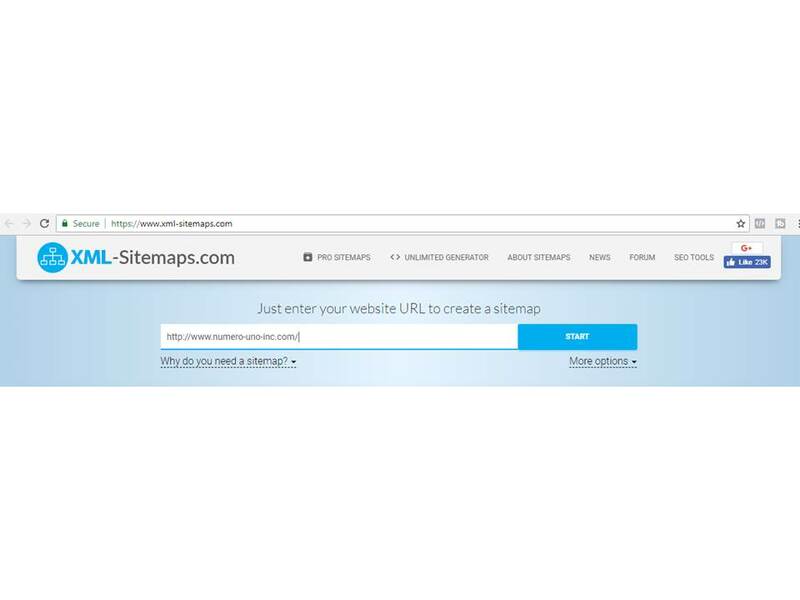 HTML sitemap is a map which includes information about website resources and their location. These types of sitemaps are mostly for users in order to help them to discover their preferred item on website or to navigate a website with ease. Moreover, as HTML sitemap links the resources internally as well as internal links assist in increasing keyword rankings; these sitemaps moreover help linked webpages in their rankings with search engines. XML sitemaps are mainly for search engines to have a map of internal/external resources of website with their information. Fast plus safe indexing of website by search engines depends on on these sitemaps. Previously, the greatest practice was to generate an HTML sitemap for least all your higher-level pages and link this HTML sitemap from the footer of all site pages. This permitted search engines the ability to have wide range of site URLs from any one page on your site. Then arrived XML sitemaps. Extensible Markup Language is the favored means of data incorporation by search engines. With this tool at our help, a site administrator has the potential to deliver search engines data on the pages of a site they required crawled plus the significance or hierarchy of site content along with the information on when the page was previously updated. 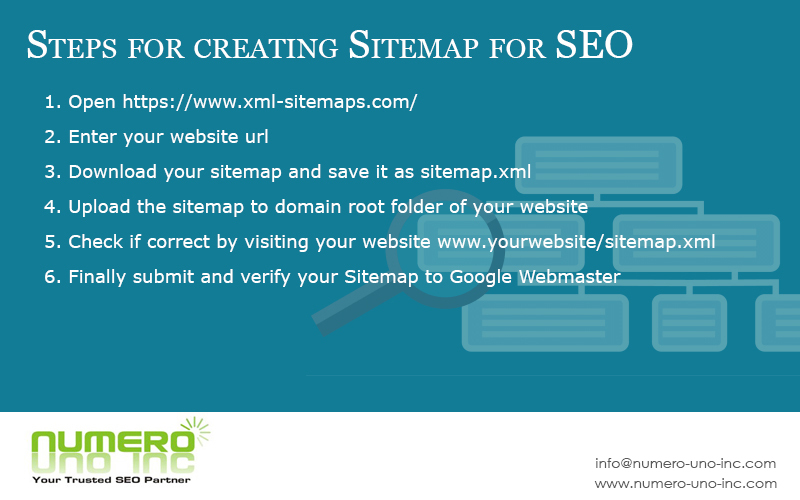 Many online tools offer you the ability to automatically generate an XML Sitemap. If you are utilizing any one of this kind of programs or an auto-XML Sitemap generator, take care that the output is in the accurate format plus is error-free. For instance, Google needs that every XML Sitemaps obeys a particular protocol—Sitemap Protocol 0.9. 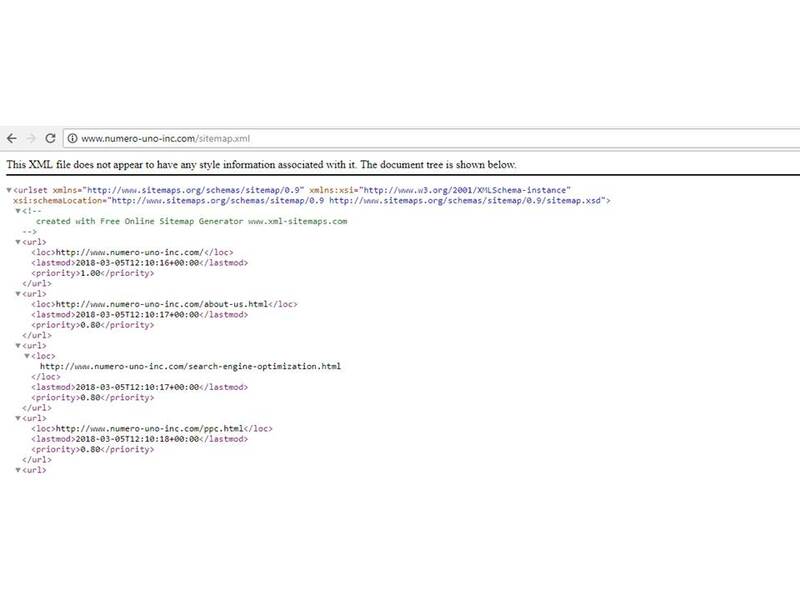 <urlset xmlns=”http://www.sitemaps.org/schemas/sitemap/0.9″> and must use UTF-8 encoding. Once you’ve generated your XML Sitemap and uploaded it to your webserver, you will be required to verify it with the search engines. Google makes this stress-free and easy through Google Webmaster Tools. You have to ensure that your Sitemap is in the right format and has been correctly and accurately uploaded to your webserver before you verify it. How does your Sitemap affect your SEO? Search engines must be able to view each and every page that you need them to see. The more pages which they index from you, the more trust your site achieves. It simply means that your website includes more information to deliver. Ensuring that the search engine spiders are able to crawl everything they require to crawl from your website is the precise purpose of a Sitemap. It’s not for navigation, nor for internal linking but primarily for the search engine spiders. A Sitemap is fairly simple to create. 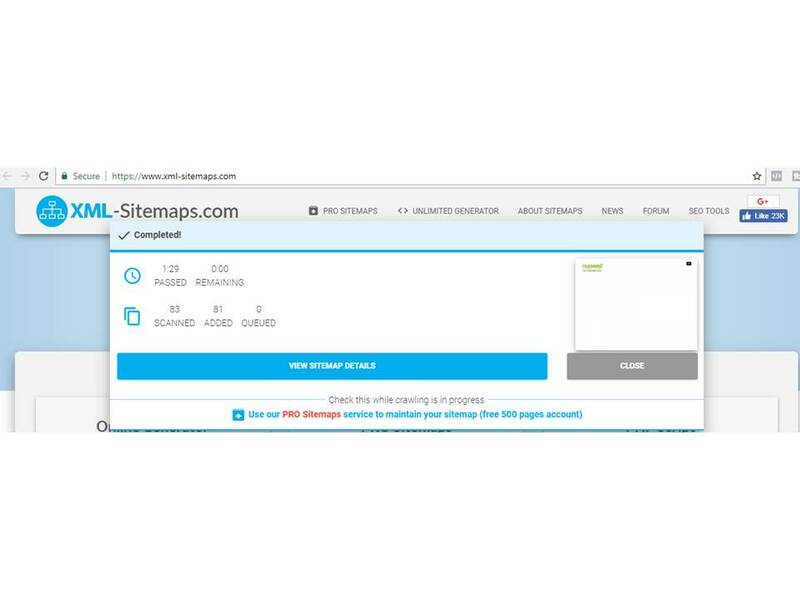 For WordPress users, you can download the Google XML Sitemaps plugin https://wordpress.org/plugins/google-sitemap-generator/ .This plugin helps you create an XML sitemap by just activating it. 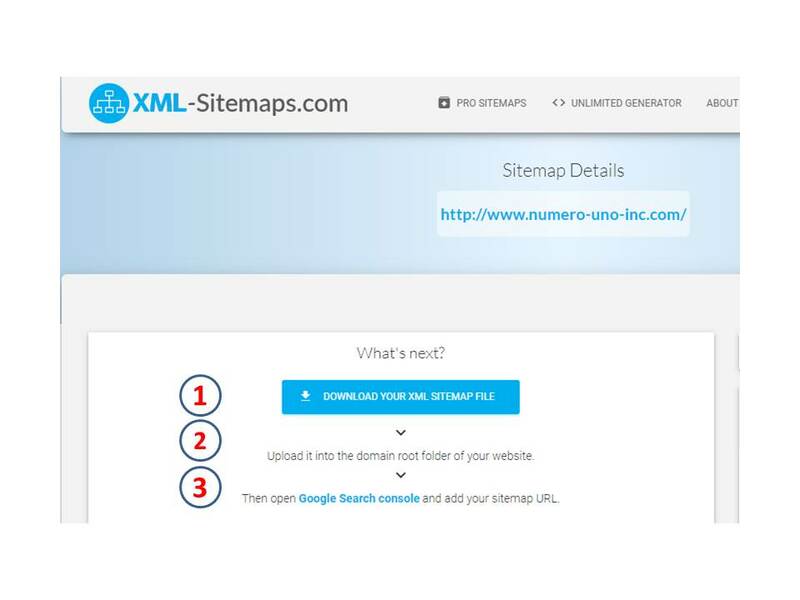 For non WordPress users, you can make use of this online XML-Sitemaps generator tool https://www.xml-sitemaps.com/ . Go to the url https://www.xml-sitemaps.com/ . Enter the url of your website for ex : http://www.numero-uno-inc.com/ and click on start. As you can that the tool has generated sitemap for the website http://www.numero-uno-inc.com/. Download the sitemap and save it as sitemap.xml and proceed as per the steps mentioned. Lastly submit your sitemap to search engines and verify it with help Webmaster Tool i.e Google search console. Having a sitemap is very essential for your website. Using sitemaps has many benefits, not only easier navigation and better visibility by search engines. Hope by now you have understood the process of how to create a sitemap for website. Hence create one for your website now or let us help you if any queries in generating one. So don’t forget to share this article with your friends. This entry was posted in On Page SEO, SEO, XML Sitemap and tagged html sitemap, sitemap, wordpress sitemap, xml sitemap. Bookmark the permalink.